Mekanism v9.4.0 - Industrial Turbines, Thermoelectric Boilers, Fusion Reactors! Compatibility Compatibility comes first. While Mekanism will run just fine alone, I have spent so very long adding in integration to make Mekanism seem like it blends in perfectly when you have other mods installed. Whether you are powering my machinery with EU, RF, MJ or whatever it is, they will work. 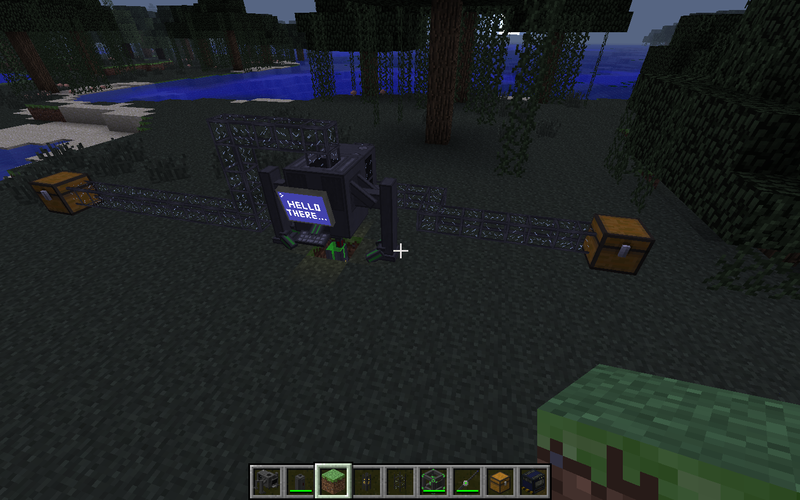 IC2 and TE recipes are implemented in my respective machines, and just about everything else will work as well. I like to think of this as one of Mekanism's best features. Ore Processing Mekanism features an extremely advanced, extensive ore processing system. 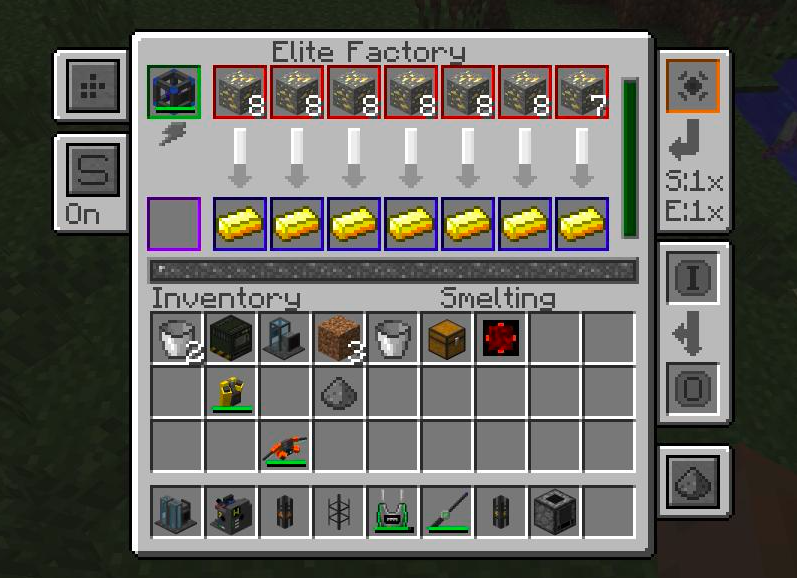 From simple machines used to process ores into ingots electronically, to complex chemical-based ore injection used to gain four ingots for every ore mined, Mekanism covers basic smelting, as well as 2x, 3x, and 4x duplication. All machines have configurable input and eject sides, allowing you to have complete control over how you want to manage your machinery. Mekanism also features the Combiner, which allows you to recreate the ores you've already processed. Here's a cool picture of an automated ore processor I set up (using purely Mekanism) that can create four ingots for every ore.
Factories Although this really belongs in the "Ore Processing" section, Factories are just too cool to be mixed together with other content. Mekanism introduces the concept of "factories," which are multi-operation machines that can process multiple stacks of ores simultaneously. 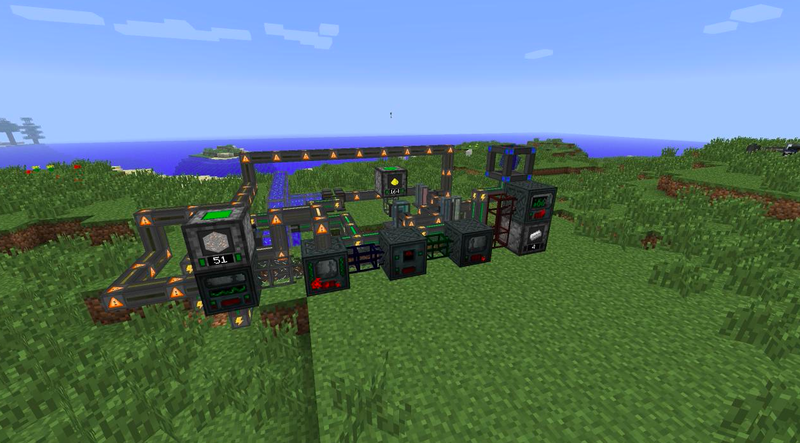 In a single machine, you can be smelting several stacks of ore into ingots, enriching several stacks of ores into dusts, or crushing several stacks of cobblestone into gravel. The Factories follow base Mekanism tiers, with the Basic Factories processing three stacks at once, the Advanced Factories processing five stacks at once, and the Elite Factories processing seven stacks at once. In other words, the Factory can be seen as seven machines in one in it's elite tier. Here's a screenshot of an Elite Factory interface; it's too awesome to not show off. Ores All Mekanism ores have configurable spawn rates and disable options in the config (Mekanism.config). It's pretty self-explanatory. Mekanism is founded off the resource "Osmium" which generates pretty commonly at any Y level below 60. Osmium can be used to create tools and armor, but it is primarily used in the makings of machinery. If you have NEI, you'll see that you really can't do much without Osmium. Mekanism also generates Tin and Copper, both of which can be easily disabled (and I'm assuming many people will since 99% of mods have their own form of tin and copper). Armor and Tools Mekanism brings five new sets of armor and tools to the table, as well as the ever-famed Paxel (an all-in-one tool). However, as Mekanism is a "tech mod," it has to have some cool techy gadgets. The Atomic Disassembler is an expensive, electronic multi-tool that can be set to mine at different speeds. The Walkie Talkie is a super fancy device that allows for SMP-based voice chat. Can't forget the Jetpack and Scuba Mask/Tank combination (which don't need a description). Here are a few pictures that highlight the Jetpack and the Scuba Mask - note the Walkie Talkie in the second picture. Robit A cute little electronic robot that will follow you around and collect item drops for you. He also serves as a portable furnace, workbench, anvil, chest, and spirit lifter. oreDiamond: all blocks registered as Diamond Ore will be mined. *Gold: all blocks with an OreDict key that ends with "Gold" will be mined. ore*: all blocks with an OreDict key that starts with "ore" will be mined (note this will mine just about all ores under the surface). You can also configure the miner to replace the blocks it mines with a block defined in it's interface. I will warn you now, this beast uses a lot of energy. 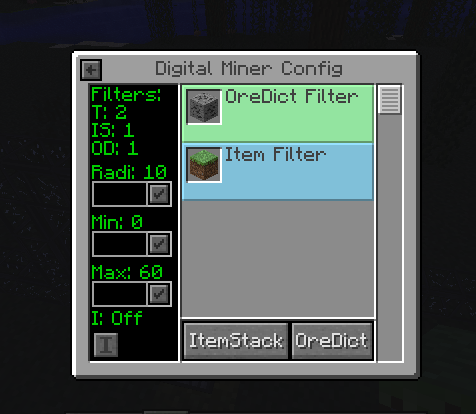 Here's a screenshot of the Miner itself as well as it's Config interface. Note the ItemStack and OreDict filter in the interface. She's a beaut, eh? Dynamic Tanks Dynamic Tanks are the best of both worlds: whatever is in between Multi-Tanks and Iron Tanks. These are multiblock tanks that can be shaped as any rectangular prism (capping at 18x18x18). 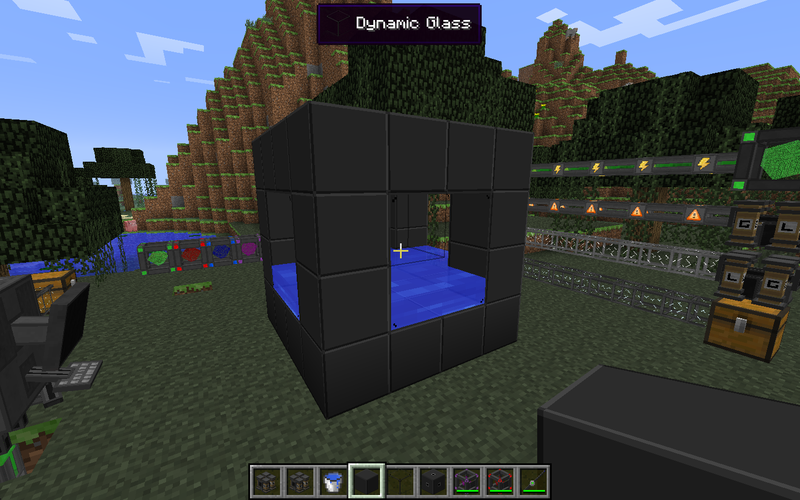 Use Dynamic Glass, Dynamic Valve, and Dynamic Tank blocks to create a tank fit for you! Here's a screenshot of a 4x4x4 Dynamic Tank. 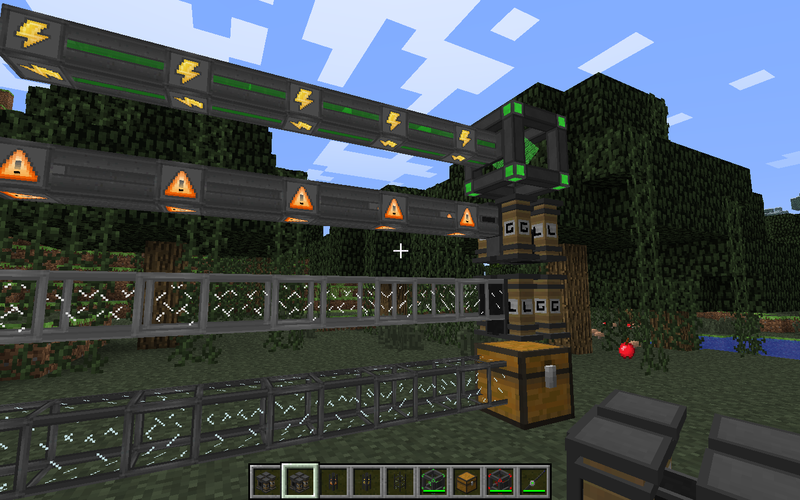 Transmitters (excluding the Logistical Transporter) will not function when powered by a redstone signal. All transmitters seamless work with Forge Multipart. Excluding the Logistical Transporter which obviously behaves differently, transmitters hold buffers that are dependent upon how many transmitters are in the network. For example, if you have two Universal Cables connected together, your network will have a capacity of 20 KJ. All transmitters look really cool. Universal Cable: Capable of transferring, well, universal energy from one place to another. These guys are super fancy and can be configured on their sides to behave differently. Pressurized Tubes: Capable of transferring gasses from one place to another. Mechanical Pipes: Capable of transferring fluids from place to another. These guys are a feat of rendering, they look way cool. 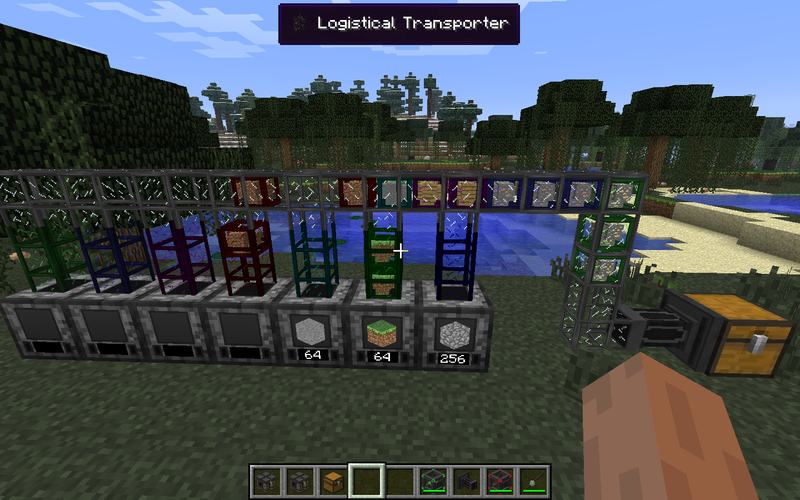 Logistical Transporters: Capable of transferring items and blocks from one place to another. These function identically to RedPower tubes, and have a fully-implemented color-coded sorting system. Here's a screenshot of all the current Mekanism transmitters. Color-coded transporters without the need of dyes. Just shift-right click with a Configurator. Sort items based off the same principles implemented in the Digital Miner, but with even more features. Round-robin sorting to equally distribute your items. Configure Mekanism-based machines to only input items with specific color tags, and output items with other color tags. Designed efficiently using an advanced A* pathfinding algorithm. Use the Restrictive Transporter to create path restrictions, and the Diversion Transporter to set up your sorting networks with redstone logic. Configure Logistical Transporters to automatically take items out of connected inventories without using an ejector of some kind. Watch beautifully-rendered items and color tags flow through your transporters. Other things I wanted to put here Mekanism's Bins, also known as "complete ripoffs of Factorization Barrels" by some, are actually really cool (and in my opinion unique) devices. Not only do they serve as barrels do, but they work as portable storage units. Upon breaking them, they maintain their contents, and you can retrieve them as items by simply placing them in your crafting grid. You can then take individual stacks of items out of the Bins, and put them back in by combining a Bin and another stack in your crafting grid. Energy Cubes are also cool. Aside from just looking awesome, they serve as universal power converters in their block form. Even cooler, they keep their energy when broken, and work as batteries.I'm done writing here, but this barely touches what Mekanism can do. Trust me, you'll find Mekanism satisfactory. You're gonna like the way your Digital Miner looks, I guarantee it. Mekanism has its very own wiki! Please contribute if you know anything at all about the mod. Mekanism is under the MIT license, giving you, as a user or developer, near-absolute rights to my mod. This means you can go through my source code and learn from it yourself, even take some of its code and use it in your own public works. This means that I encourage modpack owners to use Mekanism in their packwithout asking me. It's annoying to approve every single owner's modpack request, and I honestly may just say no if you send me a PM asking. If you need proof, just link this page. Please submit pull requests if you have any ideas for my mod. This is the easiest way for me to add new features. 99% of the time I will put your code into my mod! Mekanism now has its own website, hosted by GoDaddy and based in WordPress. Kudos to Tyrantelf (IonGaming) for hosting my build server at a great price. I have a blog! Please check it out if you're interested in knowing what I'm up to, I try to update it as often as I can! If you want to get in contact with me, IRC is the best way! Mekanism's channel is pretty obvious: #mekanism, irc.esper.net. Edit: are the tools enchantable? As of version 3.1.5, yes, they are. Thanks, by the way! Please tell me if you have any ideas. Quote me if you want to make sure I see your response. *Added an update check system -- you are now notified when you are using an outdated version. *Obsidian Ingots is now registered to receive ticks, which opens possibilities for the future. 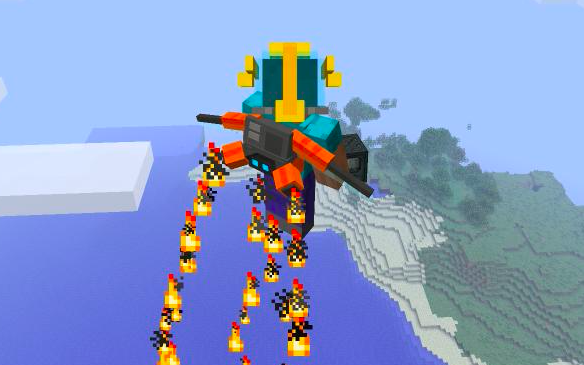 Was posted before on MinecraftForum, deleted. It is great. Runs on my intranet SMP-Server. Just fine. Updated to 1.3.2. View logs on GitHub. At first I thought this was just gonna be another one of those stupid obsidian tools mod. But this is pretty awesome! I like how it adds a challenge to make the obsidian tools instead of just smelting them or something like that. I also enjoyed having the glowstone tools and redstone tools, a knife for every material, and a paxel for every material. One request- you probably get this a lot, but can you make it so that you glow while you have glowstone armor on? (Similar to the dynamic lighting mod). *Added simple tile entity networking system. *Fixed machine remaining in active position even when it's off. 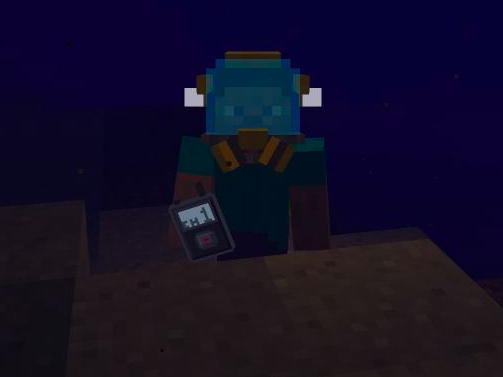 *Fixed platinum ore not spawning. *Increased platinum ore generation from 8 blocks per vein to 16. *Increased platinum ore generation from one vein per chunk to 3. *Created simple machine API to allow for easier additions. *Recoded packet system to work efficiently. *Added INetworkedMachine interface for better machine networking. *Added and fixed IC2 hooks, Iron Dust and Gold Dust are now synchronized between OI and IC2. can you please help me with installing the mod? how to make a redstone ingot? All paxels cut logs just as slow as your fist.